Playing the drums is certainly a very appealing prospect to most children and like the guitar, drums are seen as a very ‘cool’ instrument to play. Unfortunately, due to their very nature, these instruments can be rather loud and obtrusive and so many parents aren’t too keen for this to be their child’s choice of instrument. With Musicworks however, we have provided your child’s school with an acoustic drum kit. Your child will have their weekly lessons on these kits and will also have the opportunity to use these to practice on between lessons, in arrangement with the school. You therefore aren’t required to have a drum kit at home. If you do wish to purchase a drum kit for your child you’ll find all the help and advice you need on our ‘choosing the right drum kit’ page. A standard acoustic drum kit usually consists of a snare drum, bass drum, hi-tom, mid-tom, low-tom, and crash, ride and hi-hat cymbals. Electronic kits are now very popular and as well as being more compact, they allow the use of headphones and the ability to change the drum sounds and to play along with preset songs etc. Your child will be required to have their own drum sticks for their lessons. These are available from most music shops. New pupils will be issued with a free folder and Musicworks notebook on start-up. As with all instruments, co-ordination and rhythm are very important aspects and with drums co-ordination is particularly challenging due to the fact that both arms and both legs are involved. Drum stick control and technique is also a very important aspect of playing the drums and is something which can easily be practiced at home, either by drumming on a suitable hard surface (like a carpeted floor) or by using a designated practice pad. These practice pads are widely available and can cost as little as £20 for a single pad. Drum lessons are mainly taught as individual one-to-one lessons but we do now offer a group of two for 25 minutes. 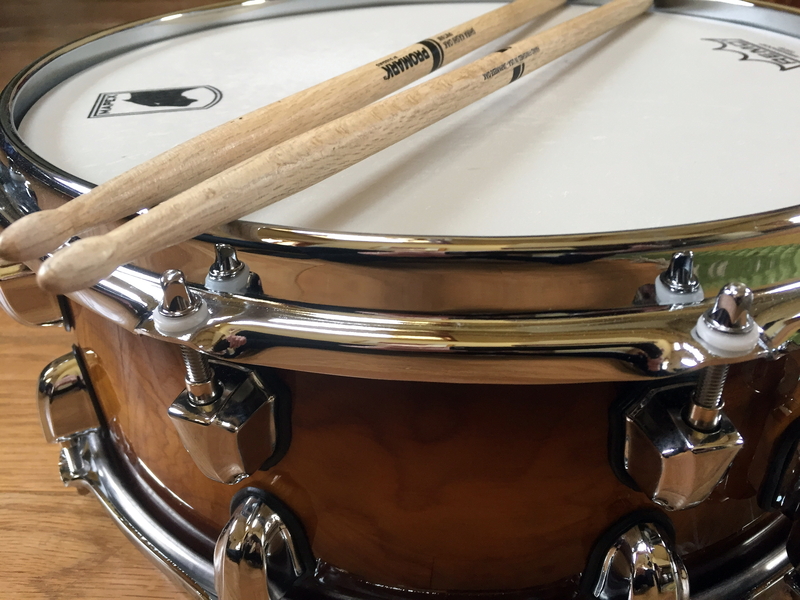 Most of our drum pupils have the opportunity to sit drum kit examinations which certainly help develop rudiment technique and rhythm and co-ordination skills. LCM and Rock School are both very popular syllabus’ and require the candidate to perform along to ‘backing tracks’. Learning to read music will be an integral part of your child’s lessons with Musicworks and you may be required, at some stage, to purchase a tutor book. Our teachers will advise your child as to which book is suitable.